Number of pages: 257 p.
Good evening everyone, I am sorry to say I didn't get my review up in time (since I am not finished reading yet) so instead (honest me) decided to post the blitz. However since I am half way through and have an opinion about the first half. I want to give you some kind of update on this book! And let you know why I did not finish this in time. Short version: I was taken a back by this book, some part hit so close to home that I had to stop and gather my own emotions before continueing reading. Really I cried till my eyes were puffy and red and the words on my kindle blurred into a blackish mash. The beginning of the book was not one of my favourites, it was so rushed up until about 22 %. I felt like stopping (around 15%) if it did not slow down, luckily for me it did, but that was also when the tissues appeared. And I think I will need serveral more to finish this book. So that was a little bit of what I thought about it so far! Note: this is not a review!! Just an update! I just want to tell you that this is really worth your time! If you need more convincing (uh exaggerating a little here) check out my review when it is ready! Mia Balducci misses her childhood days and yearns for the big, Italian family that she left behind in small town Massachusetts. At the tender age of sixteen, Mia moves with her bachelor father to Los Angeles, but no matter how many years pass, it never becomes home to her. The years spent living with her father aren’t easy, especially since she can’t stop thinking about what she once had. Her enrollment in the University of Southern California promises to bring exciting changes to her life, but Mia winds up with big problems instead. When she runs into an old friend from her old hometown of Winthrop, she gets swept up in nostalgia, and she soon loses herself in a quickly-progressing romance. Will Lucia like the new man in her mother's life? Will Mia? And will this new trio discover the happily ever after they all so desperately seek? I rolled over to face Dominic and he began to stir. I watched him breathe and took inventory of his precious face. His lashes were thick and short against his cheek. The stubble on his face had thickened a bit more and his lips stuck out in a pout. I pecked them and his eyes opened. “Good morning, sleeping beauty,” I said as he stretched and yawned. He scratched at his stubble and rubbed his eyes. He was adorable in the morning. “I need to get up and get ready for work. Lucia will be up in a bit. But ...” I began to say. I exhaled a deep breath. “No, nothing’s wrong, but ... well I really want you to move into my room now. Too soon?” I wasn’t afraid he’d say no, but for some reason I felt strange asking him that. He scoffed. “Did you think I was going to sleep in my room after last night? I had the best night of my life” he said while peppering soft, slow kisses on my face. “It was my best night, too, baby.” I kissed him one more time and got up. “So, it’s official then. You’re moving in here and we’re a real couple.” I jerked my head in a nod to emphasize my statement. He rolled on top of me, pinning me down on the bed. “I thought it was a given, Mia. You’re stuck with me forever now. I hope you can handle me.” He laughed. “Mhmmm, I can handle you all right. I just hope you can handle me.” I kissed his lips. Jennifer Garcia’s (aka Forbes Arnone) love of travel began when she went to the West Coast to visit her father at the age of three. Her home until she was sixteen was a small coastal town near Boston. 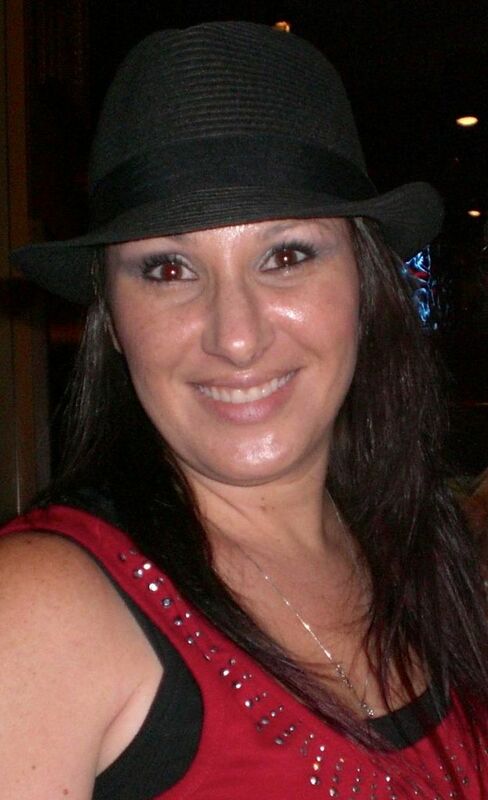 She currently resides in Los Angeles with her husband, two sons, and two dogs. Her lifelong love for reading and writing was put aside for many years while she made her way in the world and nurtured her young family. Even though she is older, and life never seems to settle, she’s finding her way while attending college full-time in pursuit of a B.A. in English Literature. She also runs a business, and is still caring for her family. Believing she can do it all, with the help of her family, she worked on her first novel during the late hours of the night while balancing the rest of her life during the day. 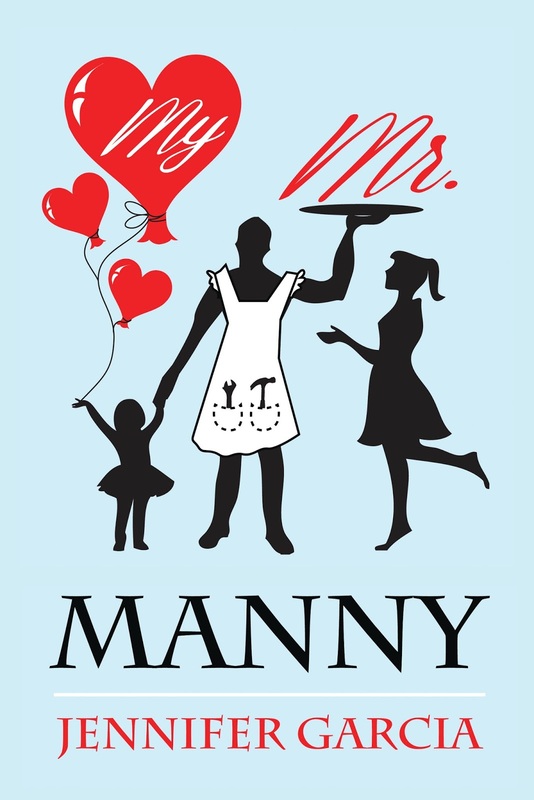 Her hard work paid off, as her first novel, My Mr. Manny, will be published August 2013. Thanks you so much!!! That put a smile on my face! I hope to finish it soon!